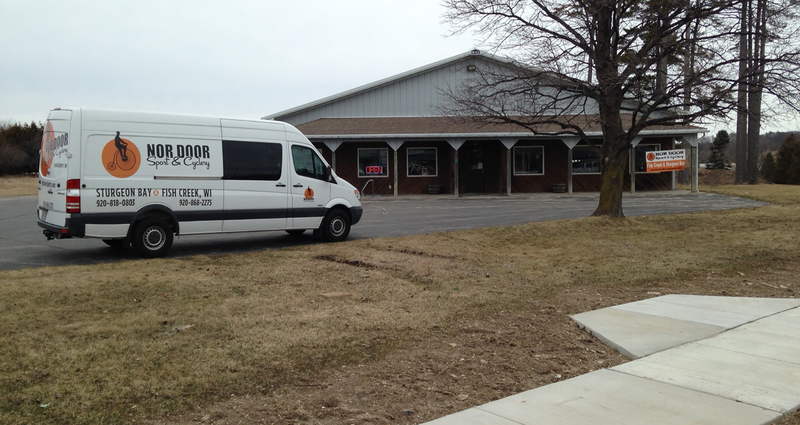 NEW EAST SIDE OF STURGEON BAY LOCATION! Most complete bike shop in Door County now offers you a second location for all of your cycling needs. Bike rentals, hybrids, kid trailers, kids bikes & tag-a-longs. New bikes, repairs, parts, accessories, cycling clothing and products by Trek, Shimano, Serfas & Pearl Izumi. Open year around. Winter Sports rental & sales of x-c skis, snowshoes & tubes.